Nearly three years ago, the UK voted to leave the European Union, a process that has been nicknamed Brexit. If only it were that easy. Almost from the minute Brexit was approved, groups in the UK began pushing back. The politicians who drove the initiative quickly disappeared. Theresa May became Prime Minister and futilely tried to push several Brexit strategies through Parliament. Yesterday, May herself was removed. Now it’s not clear if the UK will leave the EU in 2020 as planned, sooner without a formal transition plan, later with a plan, or not at all. Businesses are fleeing the UK in droves, and opinion polls say now that they understand this better, many people don’t really think leaving the EU is such a good idea. This is what happens when the actions of a key constituent group are not taken seriously. Most people thought Brexit was just a lark and never expected it to pass. When it did, they had no idea what to do next. How often do you disregard initiatives led by employees, customers, partners, shareholders, or suppliers–because you don’t think they’re important, or believe they’ll ever amount to anything? Do you consider the long-term repercussions of what such initiatives might entail? What will you do if your own version of Brexit appears with partners, suppliers, or government? Business breakups are no easier than personal ones. Once trust is broken, things are never quite be the same. Whether or not the UK decides to remain wedded to the EU in the end, many tears will be shed by all involved for years to come. 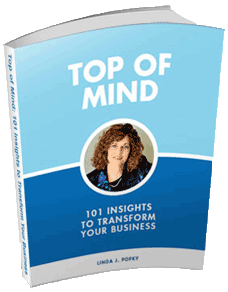 Are your customers being served? How sure are you about that? Read my article. Join me for the free online video interview series The Inspired Leadership Show: Discovering Secrets to Being an Effective Leader Through Communication, Positive Influence and Sustainable Productivity. My episode is live NOW! 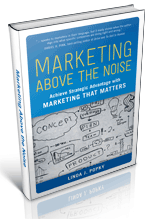 Contact me to find out how to get heard above the noise. 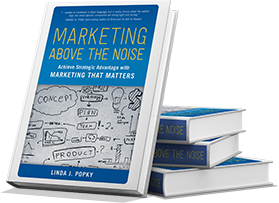 Check out our marketing thought leadership podcasts and the video trailer for my book, Marketing Above the Noise: Achieve Strategic Advantage with Marketing that Matters. This entry was posted in News and Updates, Top of Mind Thursday Memo and tagged Brexit, European Union, Great Britain, Parliament, prime minister, Theresa May, UK. Bookmark the permalink.